Designer Jennifer Rothwell graduated from the National College of Art and Design, Dublin Ireland with in 1995.Jennifer Rothwell knows the A to Z of the fashion industry as she gained vast experience as the director of Design and Production for many high profile New York Designer companies. Jennifer accredits her most valuable experience at Norma Kamali where she worked for several years. She later went on to work and gain further fashion experience with Katayone Adeli, Calvin Klein, Language and Yigal Azrouel and worked at Director level in all companies mentioned. Her reputation was such that she was constantly head hunted and in demand by competitors such as Daryl K, Betsey Johnson, Anna Sui and Rogan, codesigners for Edun. 2010 - Showcased at the Irish Pavilion at Shanghai World Expo. 2011 - Jennifer was cast as a judge on Norway’s Top Model TV Programme, providing a great showcase for the best of Irish design. The following awards have recognized Jennifer Rothwell's achievements in fashion: "Brown Thomas Designer Award” at Dublin Fashion Week in 2007. New Product Award at the Showcase Expo in 2010. 2015 - Jennifer Rothwell One Shoulder Stain glass Printed Gown was wore on the Red Carpet at the Oscar's. Tomm Moore's Wife Liselott Olofsson who directed Song of the Sea which was nominated for an Academy Award for Best Animated Feature. 2015 - Showcases her collection in Ireland Showcase in New York during New York Fashion Week. 2016 - Set up the Digital Textile Fashion Hub Ltd - First commercial Digital Textile printer to print on silk in the Republic Of Ireland. 2016 - National Museum Of Ireland the National Museum of Ireland acquired 3 of her printed designs for their Contemporary Design Collection a great endorsement of Rothwell's work. 2018 - Jennifer Rothwell iconic prints are being worn on the Red Carpet at the Oscar's once again by Liselott Olofsson Tomm Moore's wife co founder of Cartoon Saloon for the nominated The Breadwinner for an Academy Award for Best Animated Feature. 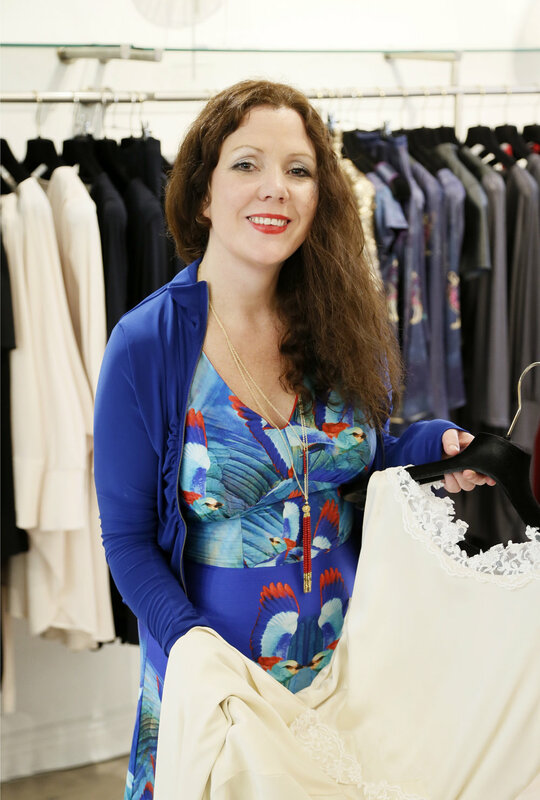 Renowed for her iconic colourful prints, multi award winning designer Jennifer Rothwell is currently the only designer who digitally prints and manufactures all her designs in Ireland.